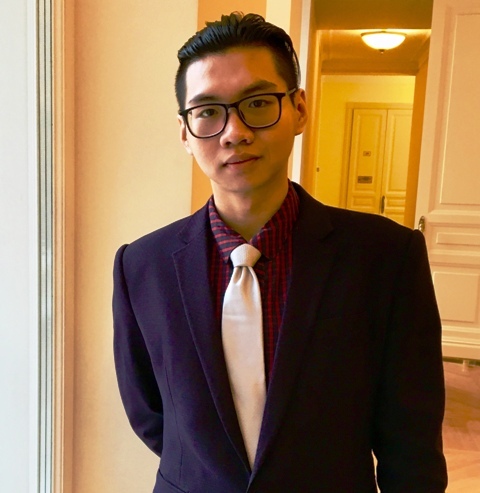 Cao Đình Thắng, a fourth-year student of Moscow State Conservatory P. I. Tchaikovsky, won the 3rd prize of the fifth Russian Festival for the air instrument in the last December 2018, and brought fame to the youth of Vietnam in particular and of the world in general. 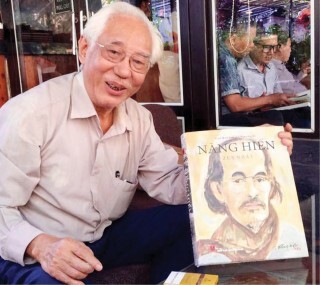 Few people knew that in order to obtain such achievements, Thắng has pursued his passion since he still studied in Hue city. 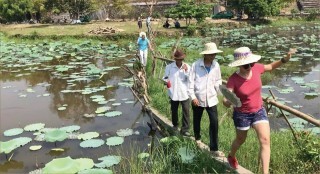 The road to the land of Poplar for Thắng was a journey to reach out and to look for a connection with the world. It was also a way to bring Vietnamese music closer to global music lovers. The youth from Hue city, Cao Đình Thắng, was honored on the Russian “arena” with the prestigious music award even while still studying at the Tchaikovsky Conservatory. - Congratulations for your outstanding award while studying at the world-famous music academy, Thắng. Can you talk about the artwork that you performed at the festival? Recently, I attended 2 competitions of the Russian Federation, one for composing music (honoring the great writer Lev Tolstoy) and the other for instrumenting for air orchestra. At the composition contest of the whole Russian Federation, I sent an artwork for piano, named “Anna” (based on the novel of Lev Tolstoy - Anna Karenina). With this work, I won the second prize for the piano composition, along with the special award of “Radio of Russia”. And recently, I won the third prize at the contest for air orchestra instrumentation. In order to have such awards, I have to improve both professional and social knowledge. I always have to consolidate my life knowledge to support my daily life as well as my career. - How did you choose this music genre which is considered very difficult? It is very difficult to say clearly about my passion. I studied music since I was a child. 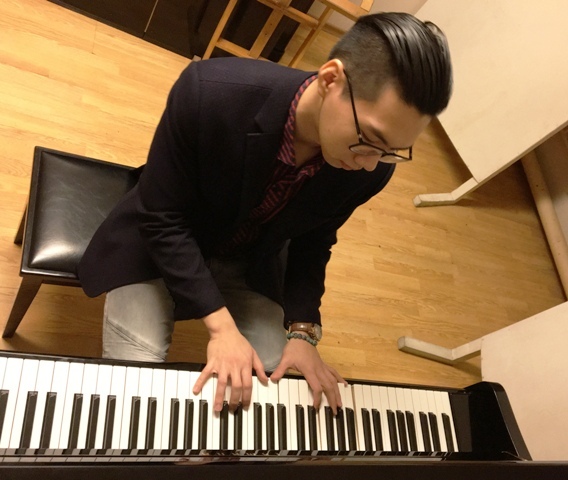 Before studying music composition, I also majored in piano performance. In short, music is like a meal or a glass of water, which is indispensable in my life. Luckily, I have got support from my family, relatives and friends. All of them always encouraged, helped and supported me when necessary. I know that it will be arduous, but there is no way. There is no path to success without stepping through that tough stage. - What genres are you composing and for what types of musical instruments? The typical characteristic of my major, as I said, is to compose music at the music academy. Therefore, I can compose many genres, as well as for many instruments. I also wrote some songs and composed soundtracks for some Russian films. - So, how much time do you spend on composing and studying music a day? Learning has to be associated with composing. They are like a unity. Learn without composing is like holding the theory without practicing. On the contrary, it is nonsense if you just practice without grasping the basic skills. Therefore, learning and writing are always parallel and support each other, not only in my current study but also in my long-term career. I compose whenever I got inspired. But it does not mean that only when I got inspired, I compose. I have to frequently practice the skills of composing music to improve my experience and professional knowledge. 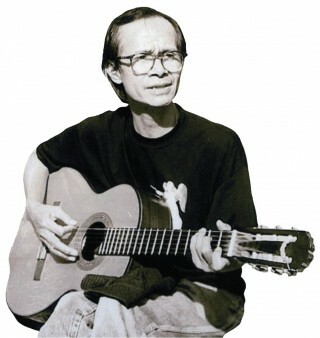 As for Cao Đình Thắng, music is a journey to reach out to the world, to find a connection with the world, and to bring Vietnamese music closer to global music lovers. - People have idols for themselves. What about you? - Why did you choose Russia to study this major but not any other countries? I love this major for a long time. When I received the State’s notice about inviting applications for studying music composition at the Moscow State Conservatory P. I. Tchaikovsky - Russia, I immediately applied for that. Not long after, everyone’s expectation and my own efforts were reciprocated with my gaining admission from the university. - Many people think that the major you are pursuing is quite arduous and uneasy to be developed in Vietnam. What do you think? The country is in need of more academic literature and art contributions. I will try to develop my career so that I can contribute to the country. I hope that my years of being trained and coached in such a professional environment will be a luggage to help me be more stable on the path of pursuing my passion and career. - Can you share a little more about your dream of your upcoming journey? I have many plans ahead. But for now, I want to continue to study music composition, soundtrack composition and music production. I think these majors are necessary for artistic activities. - If there is an invitation from Hue to attend Hue Festival performance nights, what do you think? I am always ready to contribute to the homeland and is always proud of my homeland with a rich culture and history. First held in 2013, the Russian Festival is a competition for orchestras and soloists of air instruments. In the framework of this year's festival sponsored by the Russian Federal Agency on youth issues, there were a number of contests on music performances and compositions, press conferences and round-table conferences with the participation of students, teachers, leading experts in the field of orchestral conductor and instrumental performance. 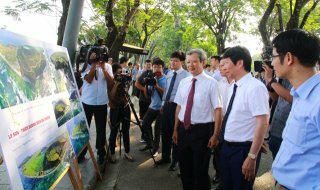 The third prize that Cao Đình Thắng won in the competition is considered an extraordinary achievement, because there is no first prize in this content.